In this review of Hellfire EPH 150, you’ll be informed about what is in this product, as well as the safety of those ingredients. Read the Hellfire EPH 150 review now. Find out more about Yellow Devils diet pills before you buy. The ingredients contained within this product have been linked to serious health risks. 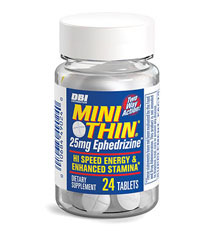 Learn more about the energizing pill DBI Mini-Thin to determine if this newer version of the product is effective and safe for use. 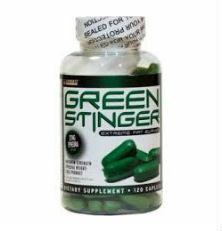 Green Stinger is a diet pill you should definitely know more about before taking. Learn more about this Green Stinger product here. Real Deal ECA Stack is a stimulant based diet pill containing an ingredient that is banned in the United States. Asia Black 25 is an extremely powerful fat burner designed to help dieters to lose weight, but that contains ephedra, according to its own advertising. Red Cutz is a weight loss nutritional supplement that was developed to replace Red Hotz, which is no longer on the market, and is labeled as a pure ECA (ephedra, caffeine, aspirin) stack.